This article originally appeared in “The Danville Tech Guy” column 6/8/2012 on the Danville Patch. This is a great question, and we’re all in search of that secret sauce to keep our computers safe from harm while we travel the World Wide Web. Part of the confusion I believe stems from the fact that there are a number of different (but related) products to address different parts of the security equation. The result you are looking for I assume is to protect your computer and privacy from compromise by someone who would like to harm or steal from you. I’m going to talk a little bit about what the products are, what they do and make some suggestions. Ultimately the best product to use is probably the one that the person that supports you if there is a problem recommends. How you use your computer: the sites you visit, the communications you receive, the programs you use are actually the biggest factor in how secure you will be. The best advice I can give you is to take time to learn about how to be a safer computer user; perhaps I can tackle that in a future column. This is the traditional product that has a real time scanning component that based on definitions (known virus signatures) or heuristics (virus-like features) blocks certain files from running on your computer. For most people this is the backbone of their protection scheme. 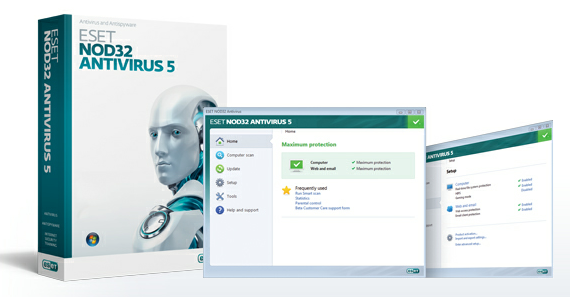 My company recommends Eset NOD32 for this role but there are plenty of other good products on the market place. Most antivirus products include signatures (how the software detects the bad programs) in their definition sets but it is often useful to use Anti-Malware products as well. There are two that I’d recommend Spybot Search and Destroy and Malware Bytes Anti-Malware. Spybot has an inoculation process that definitely can help protect you from a lot of common malware passively by making some changes to your computer. These products include Antivirus, Anti-Malware, Firewalls and other components. I am not a big fan at all of these products because they are very invasive and often prevent you from doing things you want to do. They also have a level of interaction and training where a user could easily allow something they shouldn’t while “training” the system. That time and effort can be better spent elsewhere. There are lots of products that creatively attempt to solve the security equation. One of the products that I’ve grown to love is Sandboxie. Sandboxie allows you to run programs isolated from your operating system. That means if you happen to execute a virus file within the sandbox it will only affect that sandbox not your operating system overall. This greatly reduces the risk to your system. Unfortunately configuring and learning to use this software correctly requires a time investment. The time invested is well worth it though as you will be able to much more confidently access the web. Eset NOD32 is the product I would recommend with the understanding that no software will ever be 100% and your willingness to learn about security and privacy issues will be a valuable asset. Do you have an IT Question? Periodically I take questions here on the blog, you can add them as a comment below or use my contact form.